My new book, The Simple Home, was delivered to me a few days ago. I spent time over recent days looking at it and remembering the relentless writing schedule I imposed on myself to get it done for 2016. All that's irrelevant now because here it is, beautifully presented and full of what I think is interesting information. It's the best way to end the year. 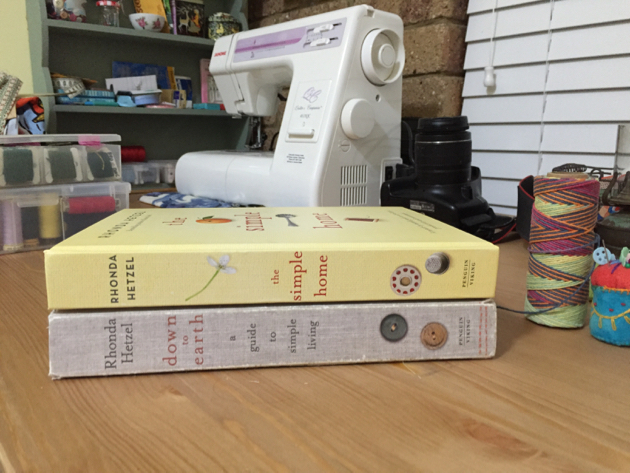 The Simple Home is the sister book to Down to Earth. I had a lot more I wanted to say in Down to Earth but the page count meant I could only pack in what I did. This is what I would have added to Down to Earth if I had the space to do it. The book is sectioned into twelve monthly chapters, each dealing with a different topic, at the time it can ideally be done in Australia and New Zealand. 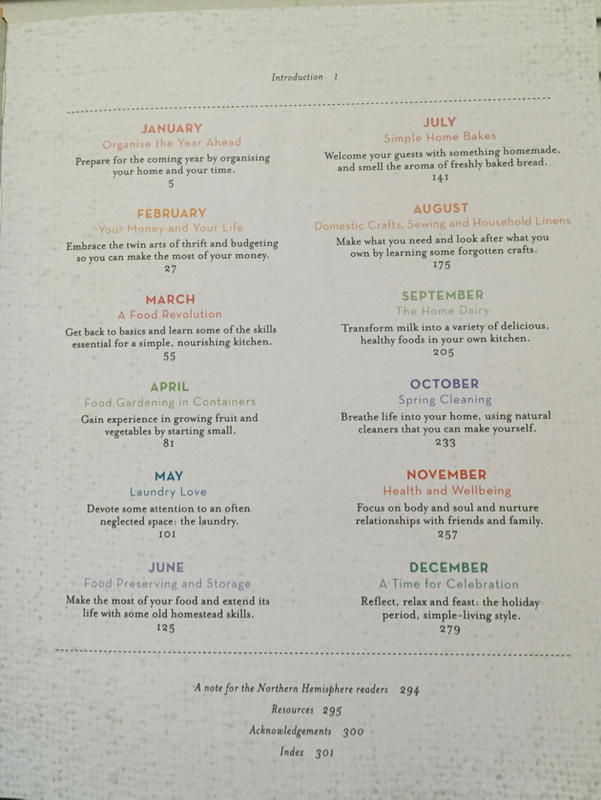 There are chapters on organising your year and your finances, the food revolution, food gardening in containers, laundry love, food preserving and storage, simple home bakes, domestic crafts, sewing and mending, the home dairy, spring cleaning, health and wellbeing and celebrating. I hope I've written well enough to encourage you to try a few things. 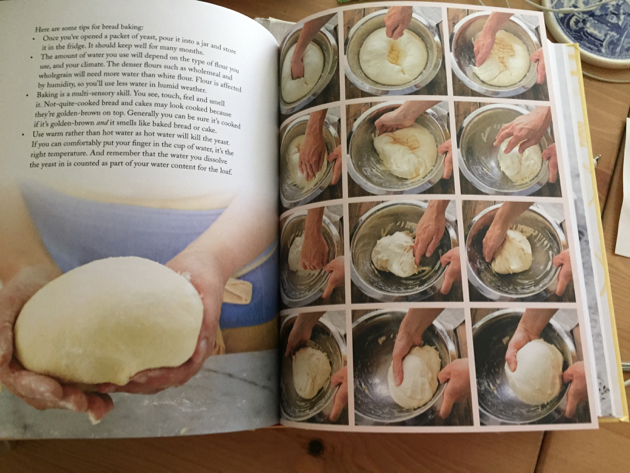 There are recipes for cheese, bread, soup, biscuits, cakes as well as cold and flu tonic and many of the bits and pieces we use here. There is a section on mending and a few simple craft projects. 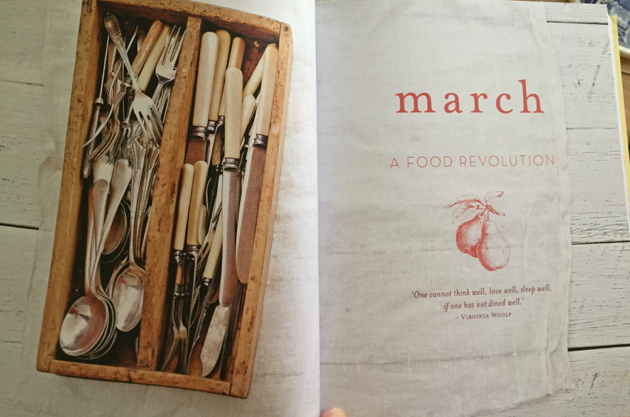 I write about food and shopping and getting back to basics in the kitchen. And in the finance section, that subject that most people love to hate, I've included action plans to help you over some of the hurdles. This is the last book I'll write. I feel satisfied that I've said what I wanted to say and I'm grateful I had the chance to do that with the help of a publisher like Penguin. I will retire in the next couple of years and go back to a life of obscurity where instead of writing books, I'll be reading them. Hanno and I will continue to live simply, we'll do the chores we've come to love, we'll collect eggs and pick herbs, we'll garden and cook, but I won't write about it anymore. I've tried my best to write about a way of life that can change people in the most profound way. Often you don't see that at first, you just see a way of cutting back and living well. I've found simple life to be the best it can be when it's at its most basic and peeling back the layers of materialism and conformity not only reveals that but it teaches many significant life lessons as well. I hope my books reflect that. 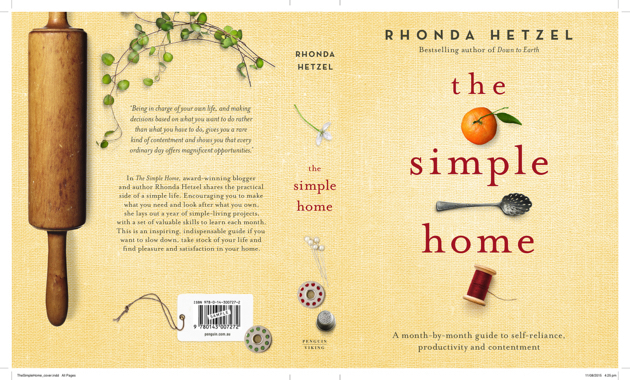 Publication date for The Simple Home is 1 March, 2016. You can pre-order at Booktopia and at the moment, they have a discounted price. ADDED LATER: I've sent an email to Penguin to find out if the books will be available for sale on Amazon. I'm pretty sure it will be on the US Amazon but I'm not sure about the UK one. I'll be back later when I have an answer. One way or another, we'll find a way of getting the books out to you. BTW, Down to Earth is being reprinted so hopefully both books will be available overseas as well as locally. Oh Rhonda, it looks amazing! So many congratulations to you. I look forward to reading it. Thank you Rhonda, for all your hard work. I hope to order it as soon as possible. Hope you and yours have a wonderful Christmas and New Year. Congratulations! It looks incredibly interesting. I hope you can catch your breath and continue to look with pride and pleasure at the contribution you've made to the betterment of thousands of lives! Merry Christmas, Rhonda Jean! Oh Rhonda I'm so pleased for you! What a lovely book. I hope we'll be able to get it over here in the UK at some point too - I had your last one as an ebook and it's just not the same! You've been so inspiring to me over the years and while we have very different lifestyles I've learned so much from you. I always remember your kindness when I wrote to you on starting my own first blog back in 2008 - you encouraged me and I've kept it going (in different forms) since then, and grown so much through it too. Will it be available in the US, Rhonda? I'd love to buy a copy, as I have really enjoyed your first book. 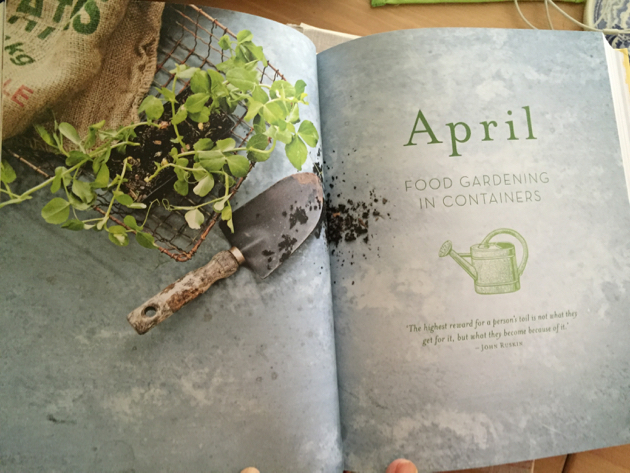 Oh Rhonda, your new book looks spectacular!!! Will it be available in the US? It is a beautiful book, Rhonda. The colour and the form are most inviting. I look forward to seeing it in person. I love the format and the way the chapters handle each subject. It is a real contribution to people and I am sad to think it is your last. But you have worked hard and deserve to rest now. Thanks for everything you do. Happy Christmas! Bonjour Maman! The first book is listed at bookdepository.com as available for delivery to Canada - (I'm not sure if I can post the link here). Also Amazon.ca seems to have Rhonda's first book as an ebook for $1.65 canadian. Your books looks wonderful. They did such a nice production job on it. Oh how I love your blog, and I can't wait to get my hands on your books. Over the years, your blog has become a little haven for this young mama with four littles. I yearn for a simpler life, and when it seems too far away, I come here and escape for a while. Thank you Rhonda, from the bottom of my heart. Congratulations on your book. What a wonderful legacy for all your family to keep! ....your writing absolutely 100% changes people in the most profound way - true story. March can't come quick enough now, so I can get my copy!! These books will leave a legacy for generations to come, what a wonderful gift to give to the world. I have no doubt that your wisdom and advice will be needed again and again in the future as society trends ebb and flow. I am super excited Rhonda and can't wait to buy your book! I love your Down to Earth book so I'm sure I will love your next book. Hope you and your family have a lovely Christmas. Congratulations Rhonda, a mammoth task indeed, the new book looks like it will become part of the family, well used and consulted often......the best kind of book. I hope you all have a lovely relaxed happy Christmas with family and the weathet cooperates with your plans. I tried pre-ordering......and United States isn't an option.. just New Zealand and Australia. :( I emailed them...I'll see what they say. Congratulations, it looks stunning! You deserve all the accolades! Congratulations Ronda....the book looks great and well thought out. Hopefully one day there will be an E-version. I got scared when you said that you will retire in a couple of years......does that mean you won't be part of my day anymore because you will stop blogging,,,,,,selfish of me, I know, but I hope you continue to blog for a long time yet , even if it is only once a week. It would be like losing a friend.....I have learnt so much from you. Anyway, enough about me!! Wishing you and Hanno a very Merry Christmas and continued health in the new year. Hi Gail. The books will be available as ebooks as well as hardcover. And yes, I will eventually stop blogging as a regular part of my day, I've already started pulling back, but the blog will remain open for anyone to read. I'll continue going for a little while yet because I still have some ideas to toss around here. Congratulations Rhonda! Can't wait to get copies for myself and my daughter; these simple living skills will be even more important in years to come and you have done us all a great service with your blog and your books - huge thank you! Rhonda it looks wonderful, I know it will be, I can't wait to have it in my hands. It's like standing on the pinnacle to see your companion books. I know you're relieved to have this done, I wish you much success with you book! Hope to read it one day. Congratulations Rhona and Hanno too who was an amazing help during the long hours of writing. 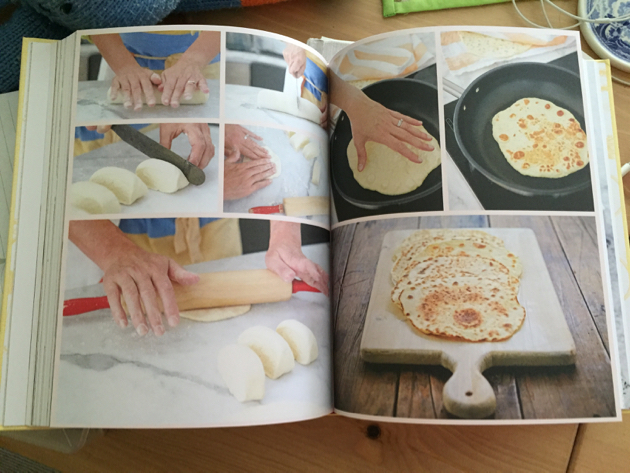 How satisfying to have the finished product in your hands. Now you can both relax after a job well done. ohh! looks just beautiful Rhonda! I look forward to buying it, my DTE book is well loved, a little splattered, a little banged up but I know you would take that as a high complement as it means it is well used in and around the work that goes on in this little home. Thanks for sharing your wisdom Rhonda. The book looks beautiful Rhonda. Congratulations. Congratulations, Rhonda! It's very attractively done. Rhonda congratulations on the new book. From the small portion you have showed us it looks amazing, I really like the idea of it broken into monthly chapters. Thank you for sharing your knowledge and experience with us. I hope you and your family have a wonderful Christmas. Oh dear, I hope you will continue blogging. I've just found you and your words have truly struck a chord in me, as they have in many! And maybe, just maybe, you have one more book in you? I am so excited, l love your first book and can't wait to buy this one. l have read it more than once. Thank you for sharing your way of life with us. Congratulations on the new book Rhonda, can't wait to get it here in Canada. Thank you for the blog & inspiration. Merry Christmas and all the best in the New year! Congratulations Rhonda. What an accomplishment! I don't purchase books anymore but I did buy your Down to Earth from the Book Depository and love it. Hello Rhonda..I am excited to read your second book. Your first one was passed from myself to my daughter and then to my son and daughter in law, so I bought another for myself. When I went to pre order through your link, it took me to Affiliate Marketing Australia, I couldn't find the book link anywhere, so I'm not sure if it is the link or Booktopia. Oh, I felt that tug in my heart when I read that you were going to stop writing. So selfish of me but you have been a daily part of my life for many years now. However, I think I am a little older than you Rhonda so I fully understand your wish to simplify your life even more. Three copies of Down to Earth have been distributed to my family and when this new book becomes available in this part of the world I will add it to the collection. I've put a link on my Facebook to the pre-order site @ booktopia. the more people that know about this new book the better. Your first book is one of my most treasured books. It is always at hands' reach and I often browse the pages because it is comforting for me to read it. Not that I need to be convinced because I am already. Living simply has changed my life. I made the changes that were relevant to me and my lifestyle and I have gained self-confidence and I can face difficulties, take care of my home and my family and be happy and make people around me happy... that's what life is all about, right? So thank you very much because thanks to your blog and your books you have reached many people around the world. Your second book will complement your first one perfectly, I am sure. Merry Christmas to you and Hanno and your loved ones. may you have a wonderful & merry xmas & a safe & happy new year rhonda, hanno & family! I have mine already on order through Riverbend in Brisbane! Merry Christmas and enjoy these days with your family. Oh, Rhonda, it is so beautiful! I can't wait to read it, really! Just the pictures and layout look so inspiring! Congratulations Rhonda! I can't wait to read it. I think your books will become classics for anyone looking to live a more simple life. What a wonderful heritage. I hope you have a wonderful christmas. It looks amazing, can't wait to get my hands on a copy! Looks like a fantastic book. I pinned it on Pinterest so I remember to look for it on amazon later. Also, we can request books from our public library here so I will do that too. It would be a good addition to the collection. Congratulations! It looks wonderful, what an amazing legacy you leave us all. I truly have admired your perspective. It resonates with me so deeply. I am an ardent fan and wish you all the best in your future. I am hopeful you will still post your thoughtful words. You truly are uplifting. I will check our your friend's blog, too, about Permaculture life. Congratulations, Rhonda! I have thoroughly enjoyed your first book and look forward to being to purchase this new one! Just pre ordered my copy on booktopia ! Yes Alisha, I'll be at a few places. I'll let you know when I know.